That’s pretty much how things happened when Granite Bay pharmacist Dr. Grover Lee decided to become an award-winning winemaker. He started as a home-based hobbyist and within seven years co-owned Wise Villa Winery and nabbed Best of Class for his Cabernet Sauvignon in this year’s prestigious San Francisco Chronicle Wine Competition. At the start, Lee says he “literally got all the books from UC Davis and read them.” He traveled to Europe to meet with award-winning winemakers, he took some UC Davis extension courses in enology and viticulture and he began looking around for a likely spot to buy a plot of dirt, which turned out to be a former kiwi orchard not far from Lincoln. From there, the real work began. The old orchard happened to make a great spot for vineyards, boasting an inversion layer that creates the cool nighttime temperatures beneficial to quality wine grapes. But the property had deteriorated into a weedy, overgrown patch of rusting farm equipment and abandoned vehicles. Together, Lee and Luther have plotted a course that blends scientific experimentation with smart business. Still working his day job and retaining his role as president of American Health Care, the pharmacy benefit management company he co-founded in Rocklin, Lee cleared much of the land himself. He found an ally in Kevin Luther, a UC Davis graduate with international winery experience. Together, Lee and Luther have plotted a course that blends scientific experimentation with smart business. Wise Villa Winery, which takes its name from its location on Wise Rd., opened to its first full harvest in 2011. For his part, Lee grew up in modest circumstances in the Central Valley and spent his teenage summers working in vineyards and later in the testing labs at E.&J. Gallo Winery. In college, he studied biology at Cal Poly San Luis Obispo and did one year of a masters program in biochemistry before moving to the University of the Pacific, where he graduated with a doctorate in clinical pharmacy. This was excellent training for running a winery, he points out. Looking at things scientifically means maintaining laboratory-quality conditions. The winery is spotless, and equipment and tools are often double and even triple cleaned. When Luther wants the barrels washed out, he writes up a work order and has the completed task entered into a spreadsheet. Barrels are topped off almost constantly to replace wine lost through normal evaporation and to reduce the risk of too much oxygen coming into contact with the wine, which can cause changes to flavors and quality. Lee has also used his biochemistry and botany background to calculate puzzles like vine spacing and has adapted health care evaluation practices to grade progress. Once the due diligence is done, Lee is open to taking risks. He started fermenting grapes at lower-than- normal temperatures on the theory that it would better preserve fruitful aromatics. And he and Luther decided to make Syrah in the Sur Lie style, leaving the grape skins in contact with the juice in the barrel, as winemakers do in France’s Cote du Rhone region. “The wine really stunk bad for the first three months or so,” Luther recalls. But the gamble paid off. That wine won double gold this year at the San Francisco Chronicle Wine Competition, part of a haul for Wine Wise that included three gold, eight silver and two bronze medals plus Best of Class for the 2011 Sierra Foothills Estate Grown Cabernet Sauvignon in the category of Cabernets priced at $30 to $34.99. For the first three years, Wise Villa wines were sold exclusively out of the winery. Space was almost immediately a constraint, and it also became clear that the winery was losing customers around midday, when visitors would depart in search of lunch. Ever the entrepreneur, Lee opened an on-site bistro last year. His timing was prime. Over the past decade, the Placer County Wine Trail has blossomed from a handful of wineries to nearly two-dozen. The Wise Villa bistro routinely draws crowds, and Executive Chef James Herzig has prepared lunch and dinner menus that include prosciutto-wrapped asparagus, braised lamb shank, thick burgers and raspberry rhubarb pie. The food quality and upscale menu tie into Lee’s business philosophy of taking the customer experience from good to great. He attributes his expeditious triumph to hard work, a little obsession and making sure that every customer leaves on a positive note. Small wineries like Wise Villa, which produces just 7,500 cases a year, can’t compete with the big guys on cost, “so we have to present a story and a value-added experience —something unique and special. That’s really what we’re aiming to do here,” Luther says. 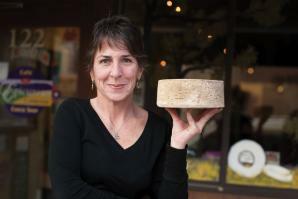 Michelle Locke is a Bay Area-based food, wine and travel writer. Her work has appeared in the Los Angeles Times, Chicago Tribune and palatepress.com. On Twitter @Locke_Michelle. 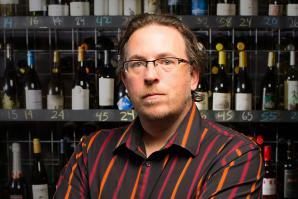 For the past 10 years, Paul Marsh has pledged himself to the pursuit of wine. In Chico, he learned the intricacies of its fruit by planting and harvesting a vineyard. With Kendall Jackson, he learned to sell. At The Firehouse Restaurant in Old Sacramento, he was educated on the finer points of building a wine collection in a hospitality setting, and he became a certified sommelier.